Bolster your resort’s bottom line while enhancing its distinctive feel. 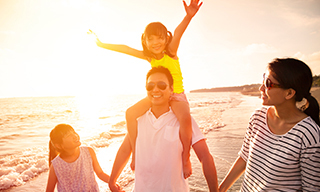 Grand Pacific Resorts is unique, just like our family of resorts. For decades, we’ve created experiences worth sharing—from the moment you start dreaming of your vacation to long after you return home. We are a well-established family of owners and associates who take great pride in the value of vacation ownership. We tailor our services to preserve the distinctive, boutique experience offered by each destination. We deliver exceptional results using best practices based on our longevity in the industry and your resort’s individual vision. Our collaborative partnership, consistent standards and hands-on approach are keys to your success. Owners vacation with us year after year because they appreciate Grand Pacific Resorts’ heartfelt service culture and passion for what we do. Associations choose to stay with us because of our commitment to a shared vision of engaged owners, our physical maintenance standards, and the financial strength we build within our HOAs. Partnering with Grand Pacific Resorts enhanced this Kauai resort's unique appeal. The RCI Resort Recognition Program has a substantial impact on our associations.